Among the stranger features of the 2016 election campaign was the success of Donald Trump, a creature of globalization, as an America First savior of the white working class. A candidate who amassed billions of dollars by playing globalization for all it was worth — he manufactured clothes and accessories bearing his name in low-wage economies and invested in corporations eager to outsource — won over millions of voters by promising to keep jobs here in the US. Admittedly, only a third of his voters earned less than $50,000 a year and cultural and racial resentment, not just economic grievances, drove many of them to Trump. Still, in an ever more economically unequal America, his populist economic message resonated. It helped him win the presidency by peeling off white working-class votes in key regions, particularly the industrial Midwest. Now he’s stuck with his populist narrative, and here’s the problem for him: it’s not likely to work — not given the economic realities of this planet, not for long anyway. Trump’s economic nationalism is, of course, a con job. He did, however, effectively employ the demagogue’s artifice, which invariably lies in crafting simplistic answers to complicated questions and creating plausible scapegoats for complicated problems. For nearly three decades after World War II, the United States dominated the global marketplace in big-ticket industries like steel, automobiles, passenger aircraft, shipbuilding and heavy machinery. That hegemony was bound to fade. As a start, America’s postwar economic primacy owed much to the ravages of that global conflict. After all, the industrial bases of Japan and Germany lay in ruins. Wartime allies Britain and France faced long, arduous recoveries. But the economies of those industrialized, technologically advanced countries were bound to recover — and by the mid-1970s they had. By then, America’s near-monopoly was ending. Between 1965 and 2010, the share of the national market held by America’s steelmakers and carmakers plunged from nearly 90 percent to 45 percent. By the 1970s, they were already complaining about an influx of “cheap imports” and lobbying Washington to enact countermeasures. Now regarded as the ultimate free trader, President Ronald Reagan would indeed oblige them. In 1981, for instance, he limited Japanese automobile sales in the US, while hiking tariffs tenfold on motorcycle imports to save Harley-Davidson. European and Japanese steel companies would soon face similar restrictions. Seen in historical perspective, Washington’s reaction to trade competition was hardly unique. Britain, too, had preached free trade during its economic heyday — until, that is, its imperial predominance began to wane. In the 19th century, the zenith of British free trade cheerleading, the United States relied heavily on protectionism to ensure the growth of its nascent industrial base. As its economic power expanded, however, its own version of such cheerleading began. Now, China is fast becoming an economic superpower. Unsurprisingly, at conclaves like the Davos World Economic Forum at the Asia-Pacific Economic Cooperation summit, President Xi Jinping is predictably starting to sound more like Adam Smith than Karl Marx, just as Donald Trump’s speeches during his November whirlwind trip through Asia are coming to resemble 19th-century American rationales for protectionism. Since the 1970s, workers in places like Detroit, Bethlehem and Peoria have faced another challenge: a range of new sources of competition, especially the “Asian tigers” like South Korea and Taiwan. Once considered inferior, their products have by now become a hallmark of quality, making South Korean or Japanese cars, cellphones, computers and television sets ubiquitous in this country. Now, China, which took the top spot in world trade from the US in 2013, is poised to do what Japan, South Korea and Taiwan already did here (cars included). And India waits in the wings. These historical trends suggest that President Trump’s protectionism is already doomed. The point isn’t that international trade always benefits American workers; it doesn’t. Trade, national or global, redistributes wealth, especially because the largest and most successful companies have long ceased to think in terms of national markets. They set up shop wherever it’s most profitable, using complex global supply chains. When it comes to Apple’s iPhone, for instance, more than 200 suppliers worldwide provide parts for final assembly in China. Good infrastructure and a workforce with skills that match corporate requirements matter. Yet wage differentials aren’t irrelevant either; that’s partly why China, Mexico and Vietnam have attracted massive amounts of job-creating investment — and why India, too, has begun to do so. The relevant question isn’t whether the global economy can be redesigned to protect American workers — it can’t — but what their government will do to help them to gain the skills needed to compete effectively in a rapidly changing marketplace. Reforming public education might be a good place to start (but don’t look to Donald Trump to do it). If American workers are to do better in the global marketplace, this country’s public schools must ensure that their students graduate with the math, science and other skills needed to get decent jobs. That, however, would mean attacking the inequality that’s increasingly been built into the public education system (as into so much else in this society). Horace Mann, the 19th-century American educator, referred to public schooling as “beyond all human devices… the great equalizer of the condition of men, the balance wheel of the social machinery.” Since the early years of the republic, Americans have embraced the idea that schooling is critical in helping individuals realize their aspirations and in guaranteeing equality of opportunity. In principle, there has been a consensus that economic circumstances beyond the control of children shouldn’t block their way into the future. In practice, it’s been quite a different story, partially because of how public schools are funded. Local property and business taxes are the largest source of support for them, so kids born into a community crammed with pricey homes and thriving businesses will attend well-funded public schools that attract good teachers with decent working conditions and salaries. Such students are more likely to have smaller classes, more guidance counselors, nurses and psychologists, more computers per pupil, better textbooks and instructional equipment, richer curricula and better libraries. In addition to local taxes, which provide 45 percent of public school funds, state revenues provide another 46 percent and federal assistance an additional 9 percent. Some state governments also offer extra money to poorer school districts, but not enough to begin to close the gap with more affluent ones. In any case, those funds have been falling since 2008. Additional federal support doesn’t come close to leveling the playing field. The United States is one of the few countries in the 35-member Organization for Economic Cooperation and Development (OECD), a grouping of wealthy nations, in which central government funding plays such a limited role in reducing disparities between schools. In those countries, national budgets provide, on average, more than 50 percent of school funding. Consider a typical California example. In Hillsborough, where the median family income is $229,000, the school district raised an extra $1,500 per student; in Oakland, where median income was just under $58,000, it was only $100 per student. Similarly, in wealthy northwest Washington, DC, four elementary schools raised $300,000 apiece in one year, sums unthinkable for schools in Washington’s poorer communities like those east of the Anacostia River, where the median household income is $34,000. Such differences are the norm nationally. It’s true that PTA funding — $245 million in 2010 (an increase of 300 percent since 1990) — looks like a drop in the bucket compared to total government spending on kindergarten-through-12th-grade education ($603 billion in 2013). That, however, misses the point, since the private funding is so concentrated in wealthy neighborhoods. Money can’t fix everything, but it counts for a lot in an ever more unequal society. And there’s overwhelming evidence that the educational success gap between the wealthiest 10 percent of Americans and the rest has been growing for decades — unevenly since the 1940s, at an accelerated rate since the 1970s, and by 30 percent to 40 percent between 1991 and 2010. If you want graphic proof of how the income-achievement divide matters, it’s easy to find: students in schools with greater resources (including wealthy parents), for example, regularly do better on standardized tests and essentially any other metric of academic achievement. Add in one more thing: automation, robotics, self-driving vehicles, artificial intelligence and e-commerce will continue to reduce the role of human labor in the economy, even as they create new jobs with skill premiums. Those with high-end jobs (banking, the law, scientific research and medicine, among others) will, of course, continue to earn significant incomes, but workers without a college education in the service sector, which already accounts for nearly 80 percent of the country’s gross domestic product, will find it ever tougher to get higher-paying jobs with decent benefits. This in turn means they will have an even harder time saving for retirement, paying for their childrens’ educations, liquidating accumulated debts or covering the cost of medical care. A progressive tax code that actually favored those in Trump’s base and others like them would be one way to start to rectify the situation, but that’s a pipe dream in this era. The two versions of the Trump-backed tax “reform” bill now in Congress tell us everything we need to know about who will gain and who will lose in his populist America. They couldn’t be more wildly regressive. Take corporate taxes. To skirt the present 35 percent tax on corporate income, American companies have stashed $2.6 trillion in overseas tax havens like Ireland, Luxembourg, Bermuda and the Netherlands, among other places. If the tax bill passes, corporations will be able to bring that money home and pay only 12 percent in taxes on it, a bonanza for corporate America. It’s been argued that such companies will then invest the repatriated funds here, creating new jobs, but the tax plan offers them absolutely no incentives to do so and imposes no penalties if they don’t. Oh, and that proposed corporate tax cut will be permanent. More generally, the truly wealthy have particular reason to celebrate. By 2024, the legislation eliminates the estate tax, which only they now pay. Though it provides less than 1 percent of federal revenues, scrapping it would shrink those revenues by $269 billion over a decade. That exceeds the annual budgets of the Food and Drug Administration, the Environmental Protection Agency and the Centers for Disease Control and Prevention combined. Republican tax policies further skew wealth distribution toward the richest 0.1 percent. Big tax cuts that favor this exclusive group are also likely to reduce government revenue, increasing the odds of further spending cuts to programs that benefit workers. Take job retraining. The United States currently devotes a pitiful 0.05 percent of its gross domestic product to worker retraining, ranking 21st out of 29 OECD countries for which data is available. And prospective budget cuts suggest that there will be no improvement on this front (where the president has already proposed a 40-percent cut21-percent cut planned for the Department of Labor will, for instance, slash several job training and employment assistance programs, affecting nearly 3 million people. And here’s one for your no-good-deed-goes unpunished file: Trump plans to eliminate the Appalachian Regional Council (ARC), which since 1965 has provided job retraining to coal miners while reducing poverty and boosting high-school graduation rates significantly. Ninety-five percent of the counties the ARC covers voted for Trump. It’s the same story when it comes to apprenticeships, widely and successfully subsidized in countries like Germany to create a skilled working class. By contrast, the United States now spends a paltry $95 million on such programs, and while Trump has called for 5 million additional apprenticeships in the next five years, a tenfold increase, he’s suggested no additional funding for such a program. Consider that the definition of not putting your money where your mouth is. A partnership among community colleges and companies, supplemented by federal funds, could create nationwide apprenticeship programs that would benefit workers and companies. Furthermore, nearly 90 percent of those who complete apprenticeships not only land jobs but earn an average yearly salary of $50,000 — nearly 12 percent above the national median wage. Two million American manufacturing jobs will remain unfilled during the next decade for want of adequately trained workers. Modernizing the nation’s decrepit infrastructure could create a range of new jobs (as it did in the New Deal era of the 1930s). But the federal government’s supposed role in President Trump’s much-vaunted infrastructure “plan” to revamp the country’s disintegrating roads, rail lines, bridges, ports, dams, levees and inland waterways is to “get out of the way”; it will, that is, be confining its contribution to the trillion-dollar plan to $137 billion (mainly in tax credits), though experts reckon that revamping the country’s infrastructure would actually require a $4 trillion investment over a decade. Private investors will undoubtedly cherry-pick the most profitable projects and so will get a windfall from this tax subsidy. American workers, not so much. Sad! Rising college costs, stagnant wages — adjusted for inflation, hourly pay has increased a mere 0.2 percent annually over the past four decades — and the weight of student debt will make it ever harder for Americans to upgrade their skills. But when it comes to the working class he claims to care deeply about, Donald Trump’s deeds don’t go beyond symbolism — publicizing his love for Big Macs and Kentucky Fried Chicken, engaging in bellicose bombast, trash-talking trade agreements, threatening to raise tariffs and blaming undocumented immigrants for everything from crime to unemployment. None of this will actually mitigate the challenges that confront workers, which will only grow in an America in which the top 0.1 percent have about as much wealth as the bottom 90 percent. 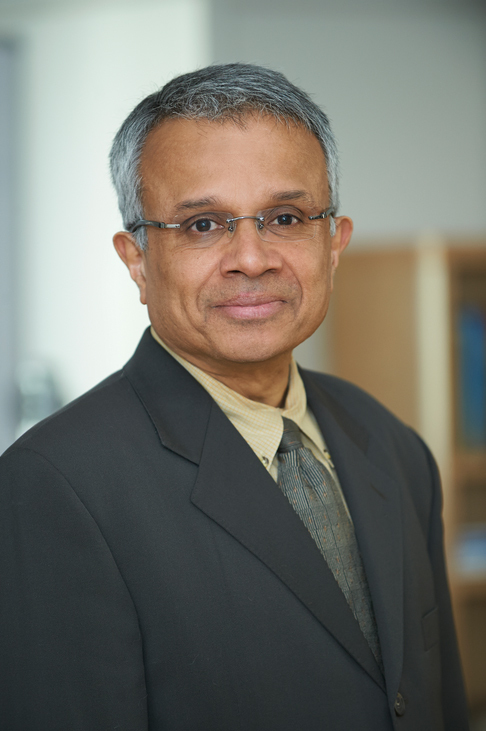 Rajan Menon is the Anne and Bernard Spitzer Professor of International Relations at the Powell School, City College of New York, and a senior research fellow at Columbia University’s Saltzman Institute of War and Peace Studies. He is the author, most recently, of The Conceit of Humanitarian Intervention.